A brass band blares. A hand-decorated parasol twirls. A ragtag group behind the band waves handkerchiefs to the beat of the drum, while a grand marshal in a snazzy suit and jaunty hat leads the way – out-dancing, out buck-jumping them all as he waves his feathered fan. Lucky you. 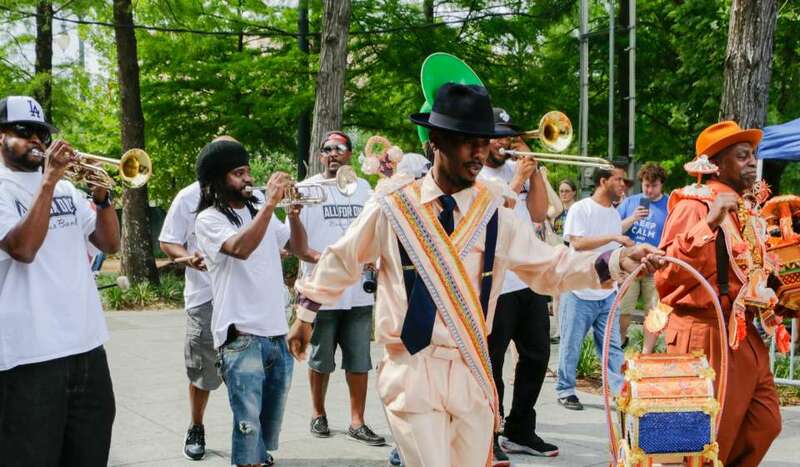 You’ve just stumbled across a New Orleans second line. Everyone is welcome to join in and many do. 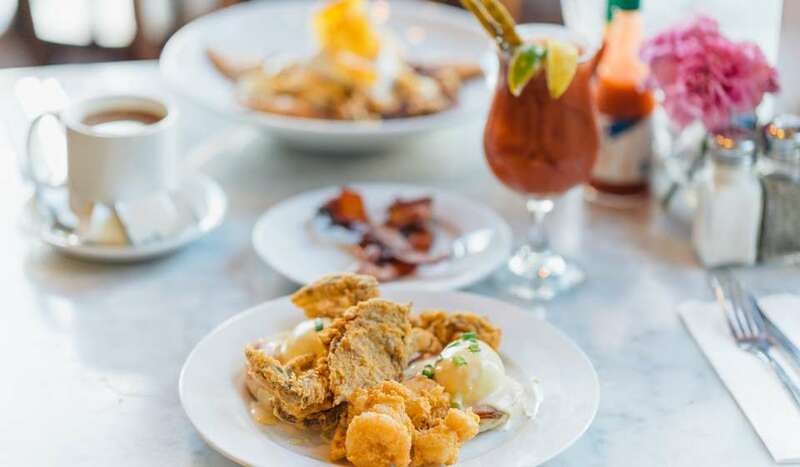 This is the “joie de vivre” everyone talks about in New Orleans. This feeling of pure happiness that swells up in your chest. This is what makes this city so different from anywhere else on Earth. What is the history of the Second Line? 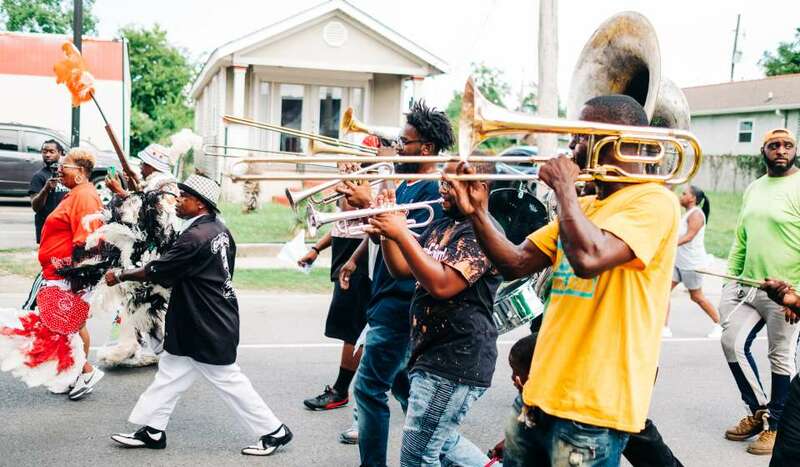 Second lining has been called "the quintessential New Orleans art form – a jazz funeral without a body.” Historically, the African-American community began second lines as neighborhood celebrations. The neighborhood organizations offered social aid to freed slaves, such as loans and insurance, and used the second-lines as a form of advertising. Second lines were also used to honor members who died in their community, which launched the idea of second lines at funerals. Often, Mardi Gras Indians were and still are included in the procession. Today, there are several thousand every year, most for weddings and other special events, although neighborhood organizations still show out. 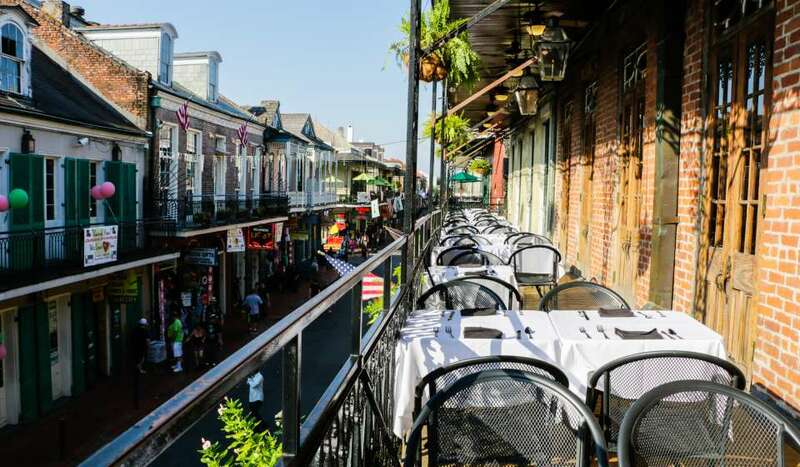 You can also join the second-line at many New Orleans festivals, including French Quarter Fest and Satchmo Summerfest. For more information on second-lines and their history, visit the Backstreet Cultural Museum and the House of Dance and Feathers. There are two parts to a second line. The first line is made up of the grand marshal or parade leader, the band, and whoever is being honored. In a jazz funeral, the family and the hearse are part of the first line. In a wedding, the bride, groom and wedding party take a position up front. 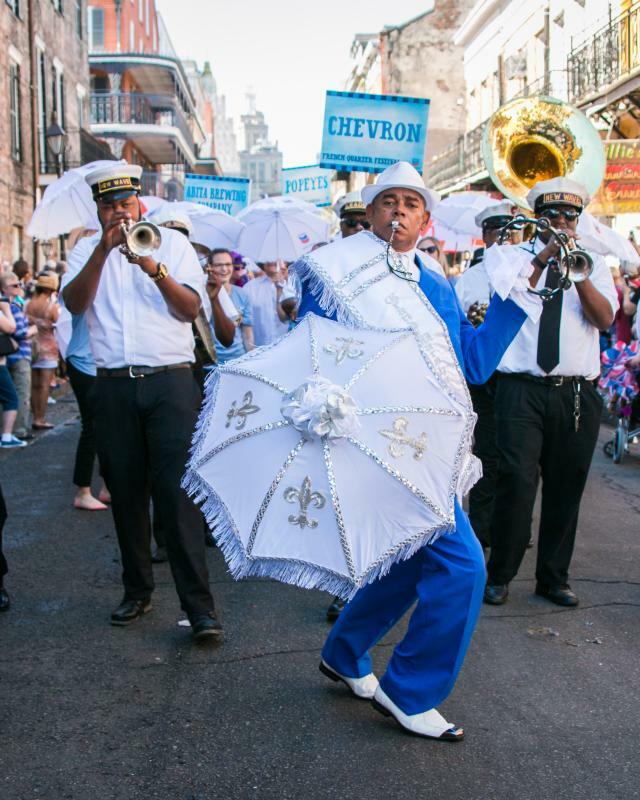 The strutting revelers who fall in behind are referred to as the second line. The leaders of the parade carry decorated umbrellas, while the other participants shake handkerchiefs while they dance. A brass band plays some beats that gets everyone dancing and moving. You can often spot the second-line by bright colored suits and banners. 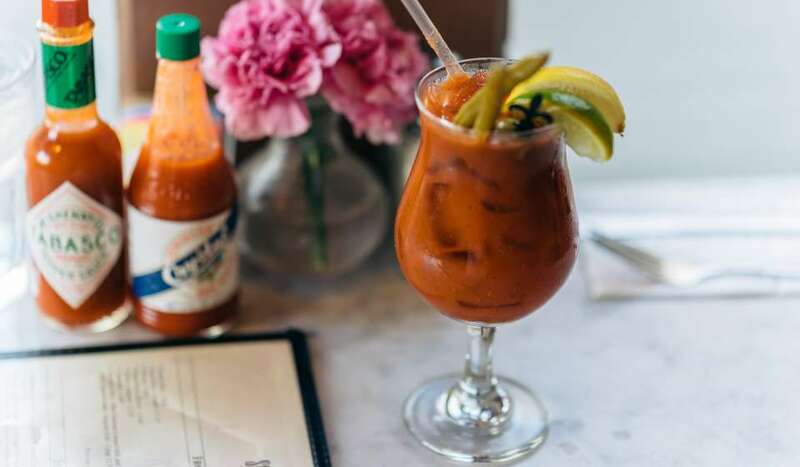 You will see second lines year-round, throughout the city, but they are most often found on Sunday afternoons in the French Quarter and Treme neighborhoods. The more participants in the procession the better! 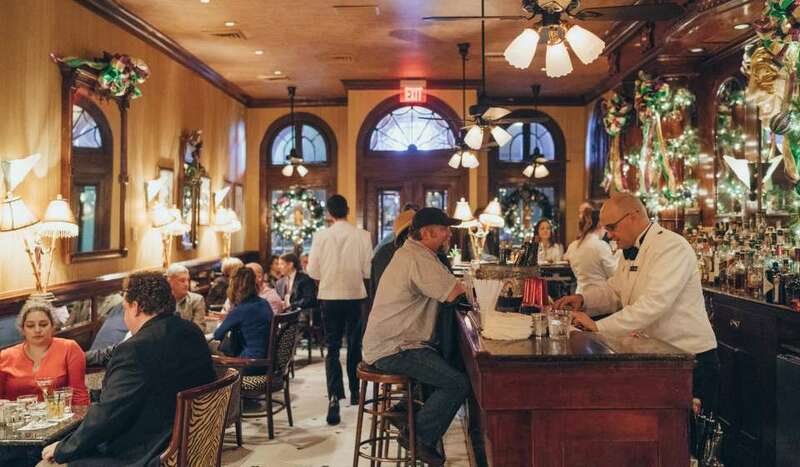 As it is a celebration, second-lines are a popular tradition among New Orleans weddings. It signifies the beginning of a new life together. Usually, the second line brings the wedding guests and bridal party from the ceremony to the reception. The newlyweds lead the procession, umbrellas in hand, while the wedding party and guests follow the band with handkerchiefs. 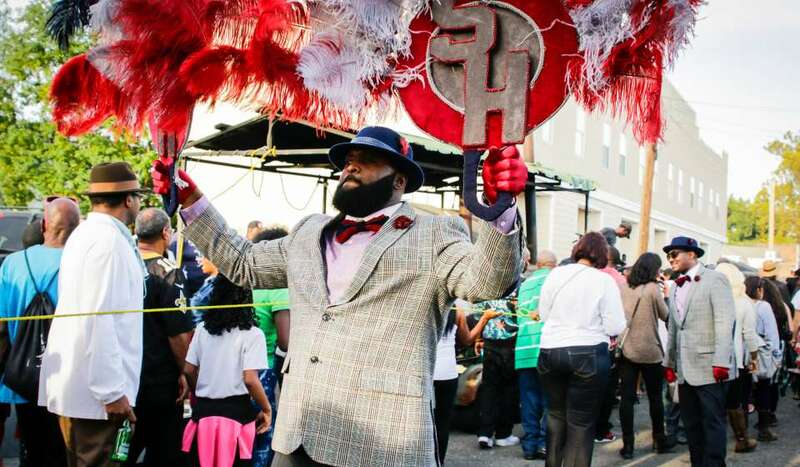 For more information on how to have a second line at your wedding, visit our wedding page here. 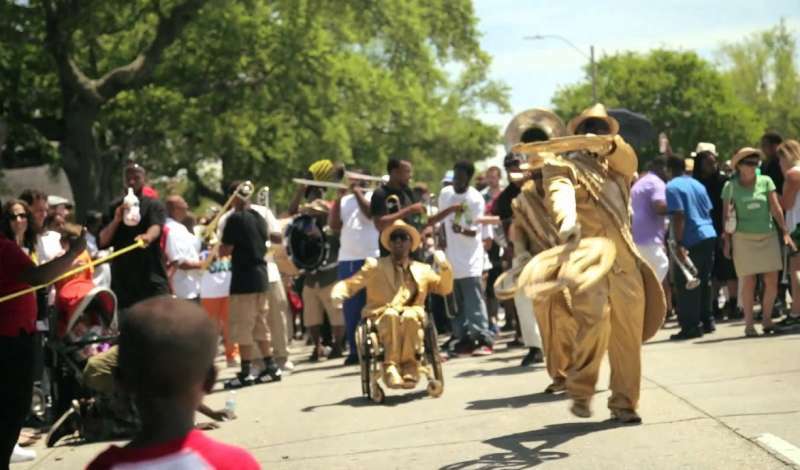 Jazz funerals are a big part of New Orleans culture, and with jazz funerals, comes second lines. During a funeral second line, the hearse is moved from the funeral to the burial service, joined by guests. A jazz band accompanies the procession to celebrate the life of the deceased.